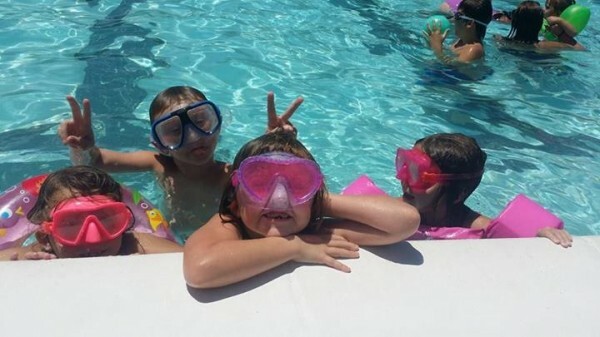 This week a local grandmother, BJ Sherlin, claimed on social media her 4-year-old granddaughter nearly drowned during an incident at the LaFayette city swimming pool. According to a post Ms. Sherlin duplicated in multiple pages on Facebook, lifeguards giving swim lessons to her granddaughter and other children were inattentive and let the child sit on the bottom of the pool “for 12 seconds” before taking action. (The grandmother herself also took no action other than yelling.) Per Sherlin, the child was traumatized by the incident and now fears water in all forms. Channel 9 ran her story as news Thursday evening. LU has discussed the lack of adult supervision at LaFayette pool before, six years ago, so this isn’t a new thing. Some reform is needed in the way the pool is managed, or at least the way it’s been managed in previous years – no argument about THAT. But the supposed drowning incident, as retold by Sherlin, is exaggerated; an attempt to get attention for herself or perhaps lay the groundwork for a lawsuit. Fortunately a pool security camera captured the entire incident on video. A review of that footage (per the City Manager) shows the child who “almost drowned” was only in the water five seconds before guards responded, and she was in the shallow end of the pool where anyone – including her family – could have stepped in to rescue her if they had chosen to. The city is reviewing its lifeguard procedures investigating ways to make the pool safer, but (in this case at least) there was no real danger. 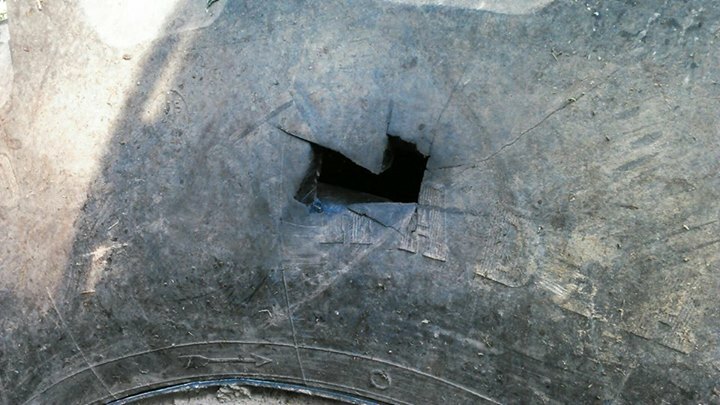 Nothing to see here, move along..
Investigators say last month’s rash of house fires – three abandoned homes burned in less than a week – were all unrelated incidents. But ONE of the fires, on Villanow St, was definitely arson. The fire on Flora St. was an accident, and the cause of a blaze on Henderson St. is inconclusive. WQCH Radio, 06/12/15: “INVESTIGATIONS CONTINUE INTO THREE HOUSE FIRES IN LAFAYETTE, STARTING OVER MEMORIAL WEEKEND. 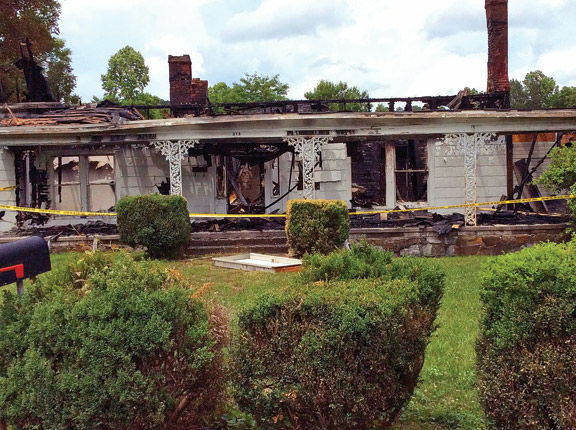 WE NOW KNOW THAT ONE WAS ARSON, ONE WAS AN ACCIDENT – AND THE THIRD IS UNDETERMINED. BUT INVESTIGATORS SAY THE THREE ARE NOT CONNECTED. “THE FIRE THAT HAS BEEN RULED INTENTIONALLY-SET WAS ON EAST VILLANOW STREET, AN UNINHABITED FRAME HOUSE OWNED BY THE CITY OF LAFAYETTE. LAFAYETTE FIRE CHIEF ROBERT BUSBY SAID THERE WERE MULTIPLE IGNITION POINTS INSIDE THAT HOUSE, AND TIPS ARE BEING SOLICITED ON THE STATE ARSON HOTLINE. THE PROPERTY HAD BEEN PURCHASED BY THE CITY LAST FALL FOR FUTURE EXPANSION OF THE CEMETERY. “THE FIRST OF THE THREE FIRES HAS BEEN RULED AN ACCIDENT. THE HOUSE ON FLORA STREET WAS UNDER RENOVATION AND WORKMEN WERE USING A CHAINSAW FOR DEMOLITION. LAFAYETTE POLICE INVESTIGATOR WESLEY STEELE SAID THEY BELIEVE THE CHAINSAW HIT A NAIL, CREATING SPARKS WHICH LATER IGNITED INSULATION WITHIN THE WALL. “THE THIRD FIRE, ON HENDERSON STREET IN WEST LAFAYETTE, IS STILL UNDER INVESTIGATION. “CHIEF BUSBY AND DETECTIVE STEELE BOTH SAID THERE APPEARS TO BE NO CONNECTION BETWEEN THE THREE FIRES. STEELE RECALLED A SERIES OF ARSON FIRES IN LAFAYETTE SEVERAL YEARS AGO, THAT STOPPED AFTER AN ARREST. ‘A SERIAL ARSONIST WAS OUR FIRST THOUGHT’, STEELE SAID – BUT HE ADDED ‘THAT’S NOT THE CASE WITH THESE THREE FIRES’. Shortly after the fire on Henderson, there was a suggestion of suspects seen leaving the home before the fire was called in. Based on that, it will probably eventually also be ruled arson. Maybe. If you have any information on any of the fires, call the GA Arson tipline at 1 800 282 5804. 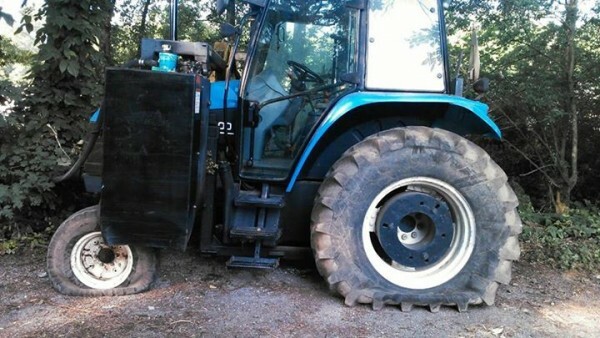 Two county mowing tractors taken out by vandals; per Commissioner Heiskell about $8,000 of damage was done to the parked mowers last weekend. No argument here. It IS a shame this was done, and it will cost the county (or its insurance company) a good deal of money to fix. The county hasn’t said where this occurred, but someone in the area says the tractors were on Jenkins Rd. between Rossville and Chickamauga near the Battlefield. 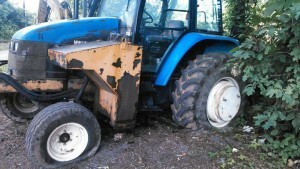 They also said the equipment had been parked there for several weeks, which makes the incident a lot less surprising. Chattanooga Street Tavern owner Tabby Holcomb suggests she might be specifically targeted by thieves, after her vehicle and business were both robbed in a one month period. 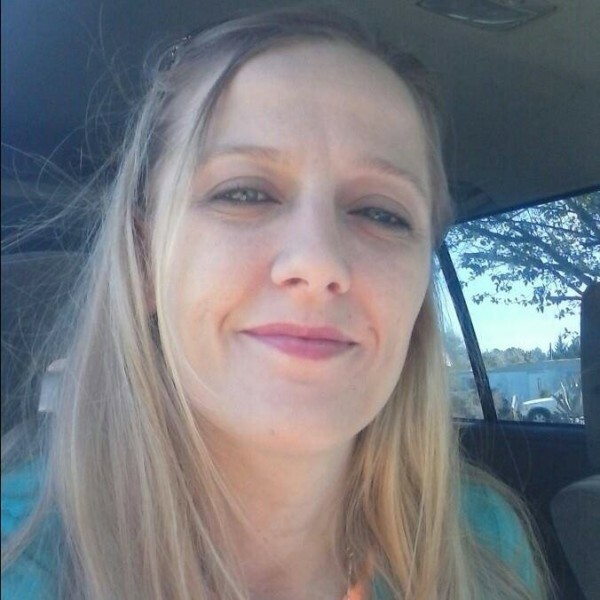 The crimes don’t appear related; It seems highly unlikely that Ms. Holcomb was “targeted” by the vehicle thefts, as her truck was one of a handful of vehicles broken into while parked at various hair salons in town. Seems like a coincidence more than a conspiracy. As for the Tavern robbery, that’s likely a result of the types of people Holcomb (and predecessor Mike Lovelady) have hired – and fired – over the years to run the business. Earlier this month Sabrina Bolton was arrested for shoplifting ink cartridges and socks from Walmart. She managed to escape from the LPD patrol car, get out of her handcuffs, and run off. She evaded police search dogs and hid for over a day, finally arrested hiding in her mother’s shed on South Main. LPD failed in this case on several levels. In other crime news: Latest local arrests for June 4-10. Monday during the June council meeting, city leaders voted to finally do some upgrades (not just demolition) at the Ross Abney complex – former LHS football field. City also has tentative plans to host a concert there once some improvements are made. We’re also supposed to see Foster Mill Drive paved any day now, then Chestnut, Probasco, Cherokee, and Thompson. But NOT South Chattanooga St – yet. 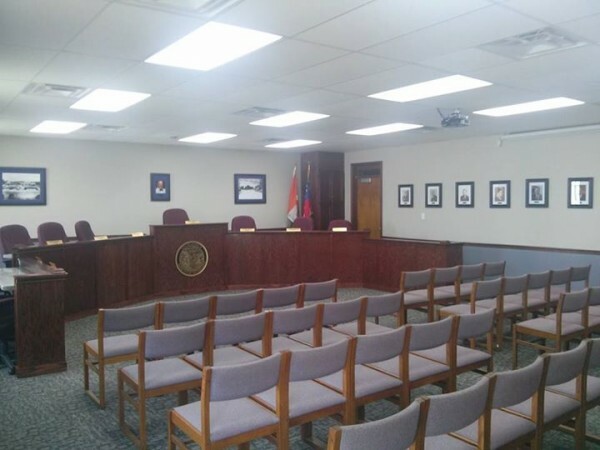 WQCH Radio, 06/09/15: “THE LAFAYETTE CITY COUNCIL DISCUSSED PLANS TO IMPROVE THE FACILITIES AT THE ROSS ABNEY COMPLEX AND THE OLD LAFAYETTE HIGH SCHOOL FOOTBALL FIELD, AT THE JUNE MEETING MONDAY. “THE COUNCIL APPROVED SPLOST FUNDING TO REPLACE THE CHAIN LINK FENCING AND GATES WITH NEW BLACK COATED CHAIN LINK FENCE, AT A COST OF JUST OVER $9,500. THE WALK-THROUGH GATES WILL BE LEFT OPEN SO THE WALKING TRACK CAN BE ACCESSED BY THE PUBLIC. CITY MANAGER DAVID HAMILTON SAID THE HILL ON THE FORMER ‘HOME SIDE’ BLEACHER AREA WILL BE TERRACED FOR A GRASSED SEATING AREA OVERLOOKING THE FIELD. LU suggested those improvements at the old field FIVE YEARS AGO next week. All the city’s done since then was bring in a bulldozer and remove much of what made the facility unique. “IT WAS ALSO ANNOUNCED THAT ROAD RESURFACING SHOULD BEGIN THIS WEEK ON FOSTER MILL DRIVE. CITY MANAGER HAMILTON SAID THE PAVING SHOULD TAKE ABOUT THREE DAYS TO FINISH. AFTER FOSTER MILL, HE SAID PAVING WILL CONTINUE, WITH CHESTNUT STREET NEXT, FOLLOWED BY PROBASCO, CHEROKEE AND THOMPSON STREETS. THE CHATTANOOGA STREET PROJECT IS ON HOLD, AS THE CITY AWAITS THE OUTCOME OF A GRANT APPLICATION FOR THAT PROJECT. “ALSO DELAYED IS THE ROLLOUT OF THE CITY’S NEW UTILITY BILLING SYSTEM. THE CITY MANAGER SAID THEY’VE DISCOVERED A ‘GLITCH’ IN THE NEW SOFTWARE. IT WILL NOT TAKE READINGS FROM THE HAND HELD RADIO FREQUENCY METER READERS THAT THE CITY NOW USES WIDELY ACROSS THE SYSTEM. A ‘FIX’ FOR THE PROBLEM IS EXPECTED SOON. 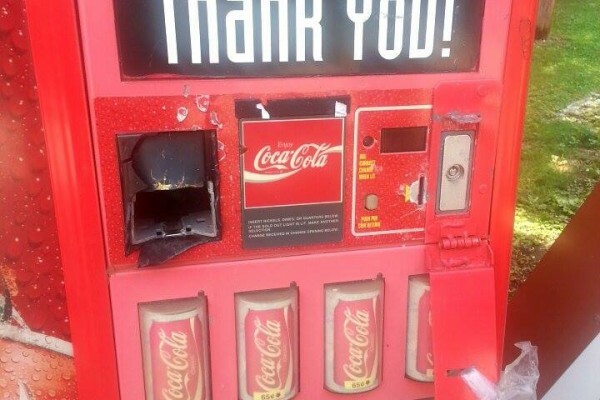 Coke machine at the Alpine on Villanow St. falls victim to theft. Be on the lookout for somebody weighed down with quarters. Once Electrolux buys GE Appliances, will the company’s non-union plants (like Roper) end up unionized? Currently Electrolux and GE both have a mix of union and non-union facilities, but GE is in talks to renegotiate its union contracts before the merger. City Manager David Hamilton admits the Golf Course costs the city about $99,000 a year more to run that it makes, but insists city utility bills don’t go to cover the difference. Not directly. Utility profits to go the city’s general fund, along with taxes and everything else that comes in, and the city funds the golf course from that pot. Math. It’s a very nice course, but it only benefits a small handful of the city’s population even though we ALL pay for it, one way or the other. The course is treated in the city’s accounting as a business service, like the airport and utilities. LaFayette plans to spend more on advertising the course in hopes of increasing usage and increasing revenues. Nathan Deal will leave office after 2018, but his two-term legacy will last for years beyond that point due to the number of judges he’s appointed to various courts around the state. 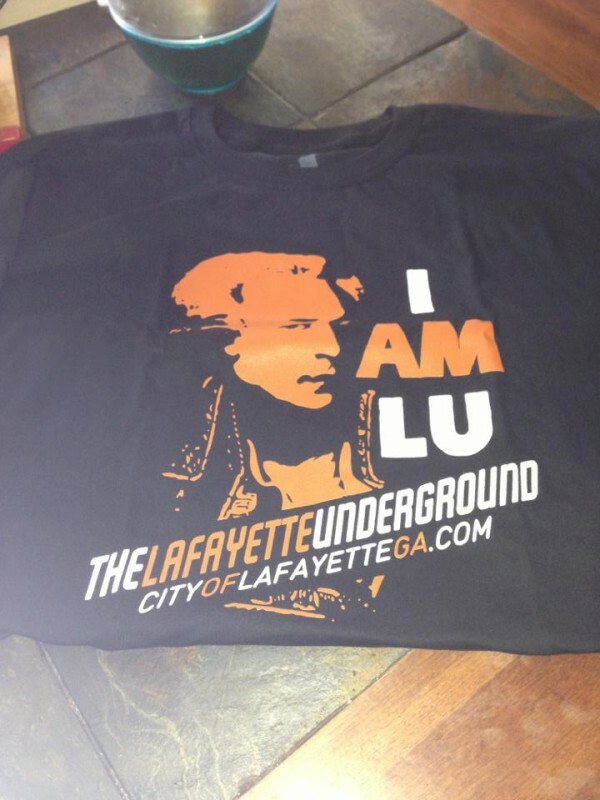 This year’s batch of Underground shirts will ship next week – the deadline to order is Sunday. If you want to get back in black, time’s running out. Only 39% of children in Georgia live in a home with both their natural parents. That’s among the lowest rate in the country. Study shows states with lower levels of education tend to have worse percentages of long-term committed couples and kids who grow up with their biological mom AND dad raising them. Sad thing is, even the best state – Utah – only has 57% of kids living with both natural parents. Kids can grow up and be fine without mom or dad both in their lives, but it’s a lot better when you’ve got both living under the same roof.